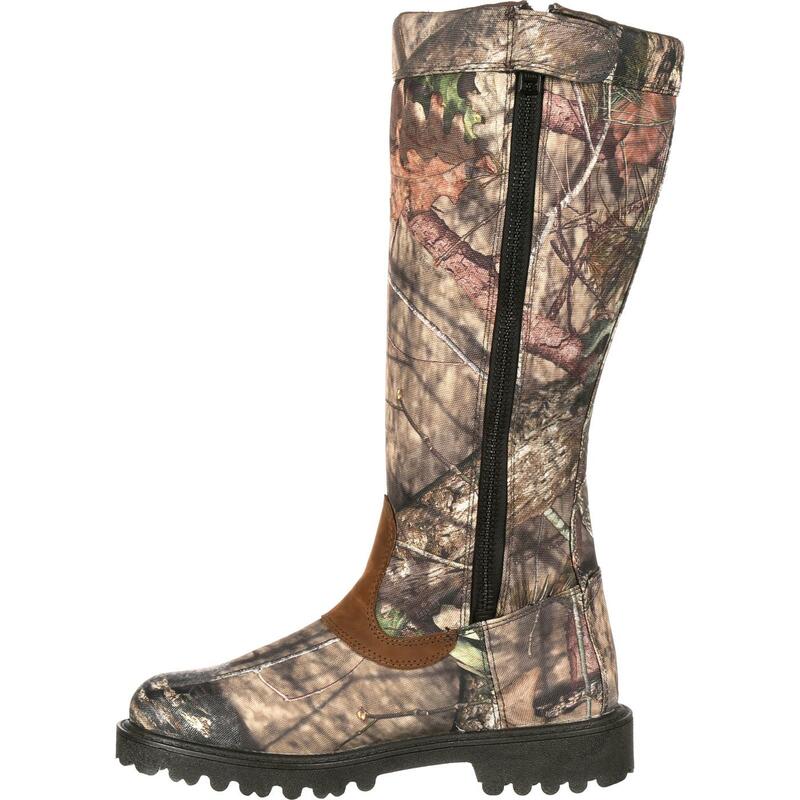 Hunt in a snake boot that protects you from snake bites and keeps your feet dry. 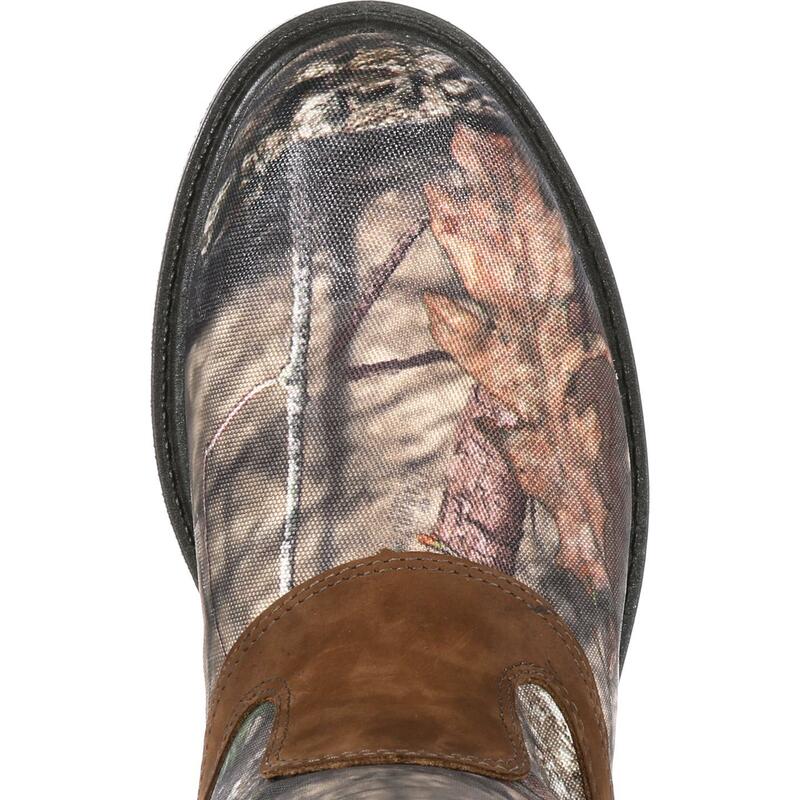 Get the Rocky® Low Country Waterproof Snake Boot in Mossy Oak Break-Up Country® camouflage. This Rocky snakeproof boot protects you from bites of North American snakes. 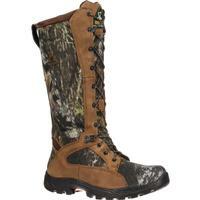 If you are hunting or walking in areas where snakes are likely to be present, this is a great boot to have. 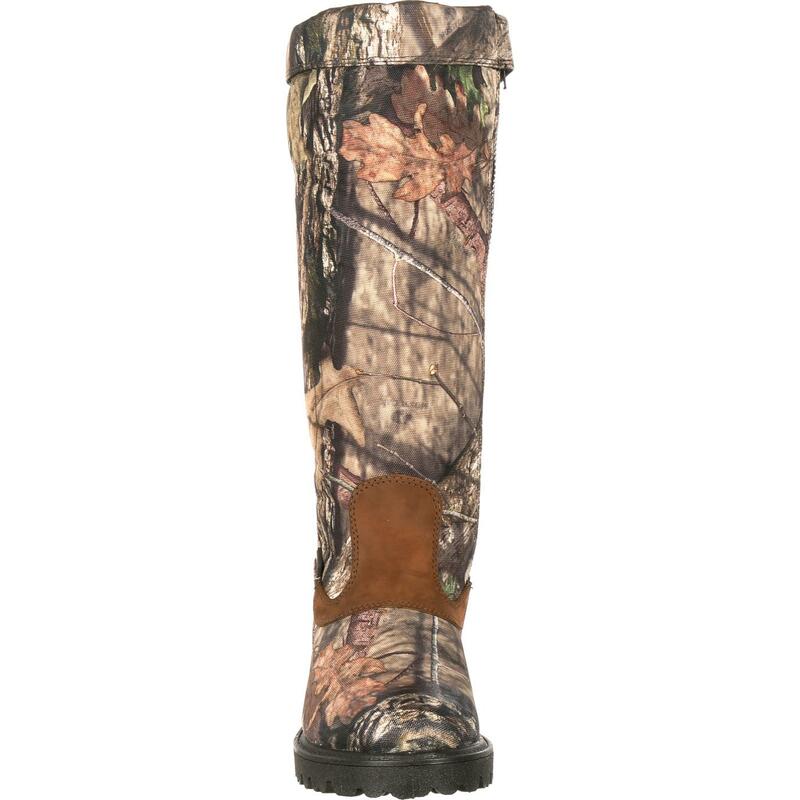 With this 16-inch boot, you get 16 inches of snake protection. While protection alone would make this a good snake boot, Rocky also gives you a waterproof boot. 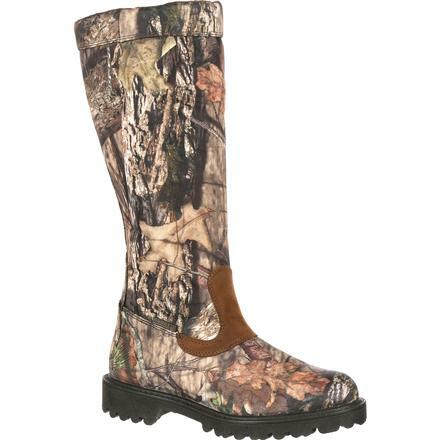 You can go where you want, through mud, water and swampy conditions, without concern about wet feet. Rocky has you covered. Guaranteed. 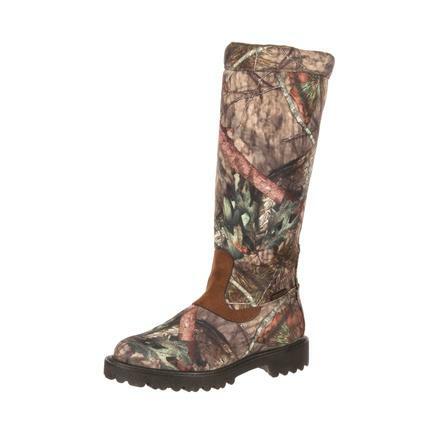 This is a camouflage boot featuring Mossy Oak Break-Up Country camo. You can have a waterproof camouflage snake boot. Some tall boots can be difficult to get on and off, but not this footwear. 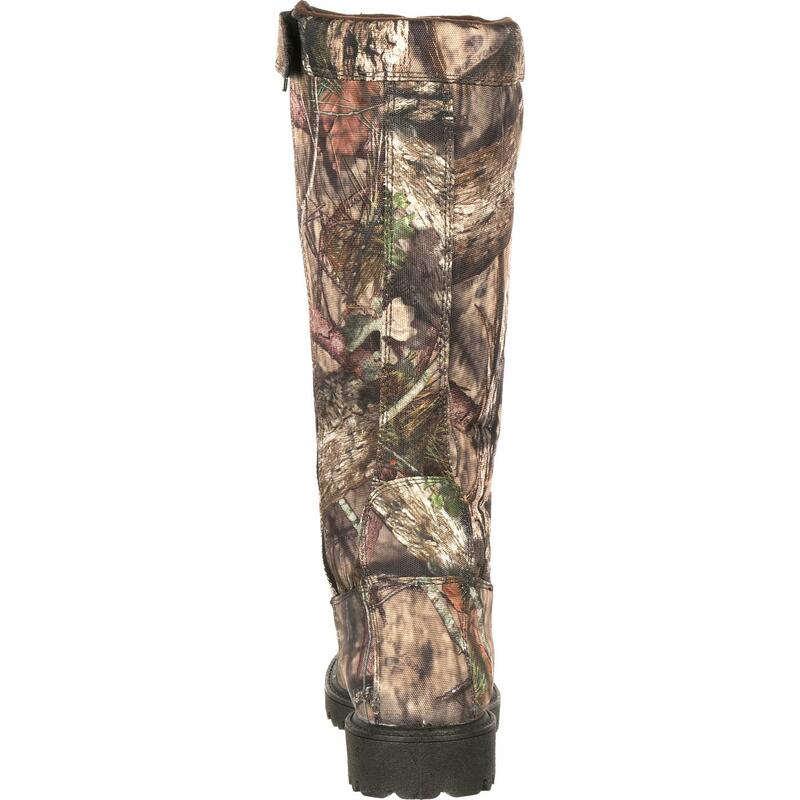 This hunting boot has a side zipper inside that makes it easy. 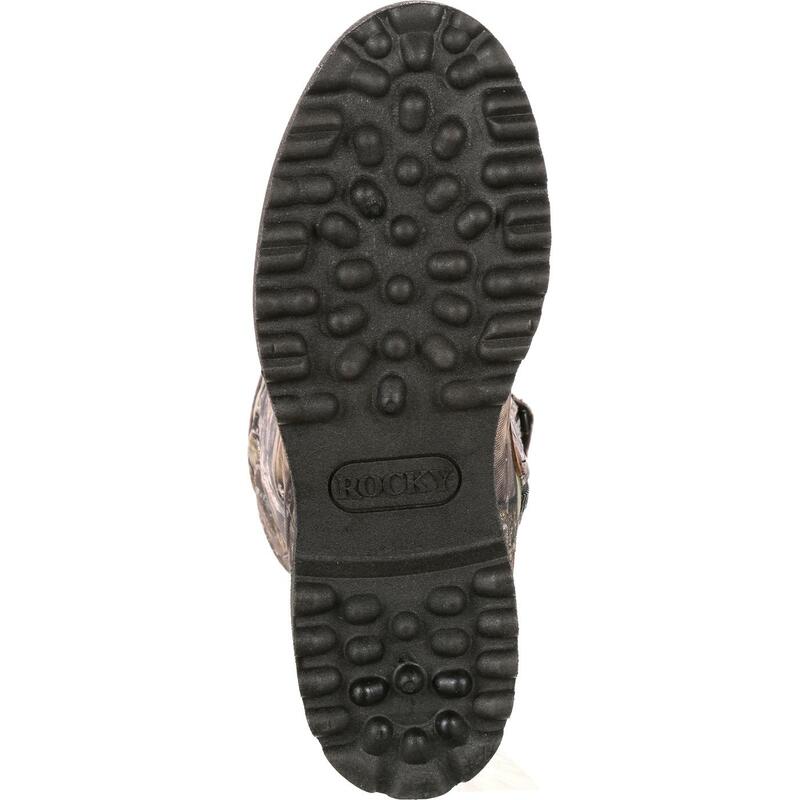 Other boot features include an EVA footbed and an EVA/rubber outsole with good traction. 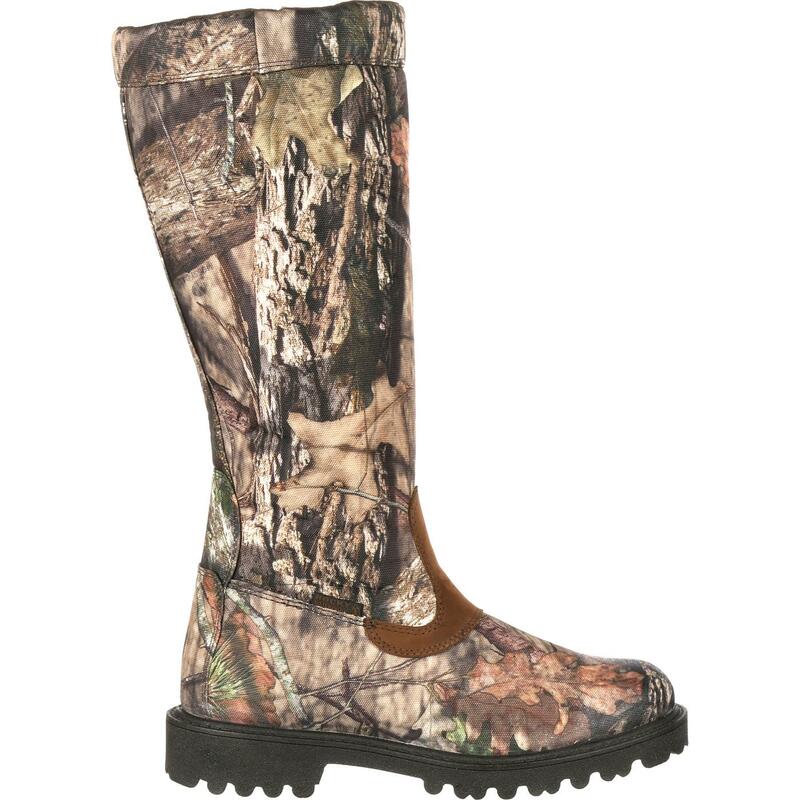 For a great waterproof camouflage snake boot, choose the Rocky Low Country boot.